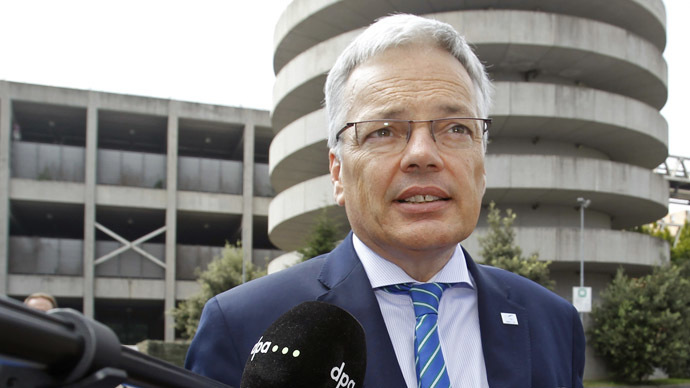 Reynders was taking part in a charity rally in Brussels to raise money for children’s charities, schools and hospitals. He joined up with an organization called Les Noirauds (The Blacks), which was founded in 1876 under royal patronage and collects money for good causes to help children. The participants dress-up in what they say are the clothes of 19th Century African nobles, which sees them blackening their faces and wearing a white top hat, green trousers and stockings. There was public outrage at his comments, with many airing their views on Twitter. Peter Bouckaert, emergency director at Human Rights Watch focusing on protecting rights of civilians during armed conflict, was scathing on the social platform. However, Reynders’ actions haven’t created much of a political storm in Belgium, with the Green Party saying The Noirauds was a harmless part of folklore. This point of view wasn’t shared by some minority groups and Belgians of African descent, who slammed the foreign minister. "In other civilized countries his political career wouldn't survive this, but in Belgium he just continues," said Nigerian-born author Chika Unigwe, according to Reuters. For more than half a century Belgium was the colonial ruler of what is now Democratic Republic of Congo. The resource rich nation, which is 75 times the size of Belgium, was plundered for its minerals and timber, while millions of locals died under the rule of Belgian King Leopold II. In 1960, the Congo as it was then known achieved independence from Belgium, but its former colonial masters were still actively involved in the country’s internal affairs. In 2002, Brussels finally admitted participating in the 1961 assassination of Patrice Lumumba, who was the independent nation’s first prime minister. The killing was carried out because Belgium was worried about losing control of Congo’s vast natural resources. The controversy regarding Reynders is similar to a debate in the Netherlands over the continued celebration of Zwarte Piet (Black Pete), part of the annual St. Nicholas celebrations on December 5. The character normally paints his face black and is seen as a servant of St. Nicholas or Sinterklaas in Dutch. Mark Rutte, the prime minister of the Netherlands, has rejected depictions of his country being insular and xenophobic for the continued celebration of Zwarte Piet. "Black Pete: The name says it already. He's black," Rutte said, speaking to Reuters. "I can't change much about it."